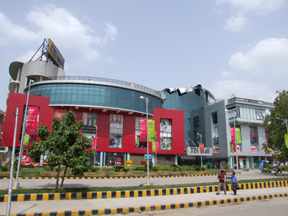 Malls in Delhi-NCR - TDI Mall is a part of the Shivaji Place District Centre which is being planned in consultation with internationally renowned real estates consultants Jone Lang Lassalle Megraj, comprising of shopping centers, commercial and office buildings, five-star hotel and a Habitat Center on the lines of India Habitat Center. It will have paved pedestrian areas and green areas along with the built-up spaces. Adequate parking is being planned for the center that will cater to the entire West Delhi locality. Sufficient parking space in front, side and back, apart from two basements dedicated parking.